If the title of this blog entry didn't hook you, the image sure will. BlueQ is at it again with this funny take on our dependence on the dreaded gotta-have-it NOW! fix of...caffeine. 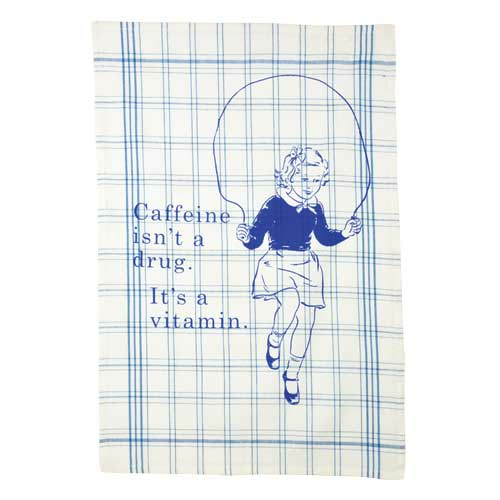 I'm not a coffee or tea drinker, so I'll blame my addiction to chocolate for my fondness for this kitchen dish towel. Hahahaha!!! 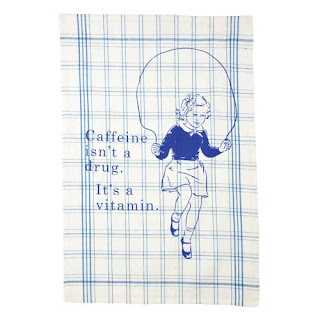 I adore this teatowel. Want one for myself.